Deviled Eggs is a classic appetizer that is simple enough to make for every occasion, yet elegant enough to serve for big holidays. 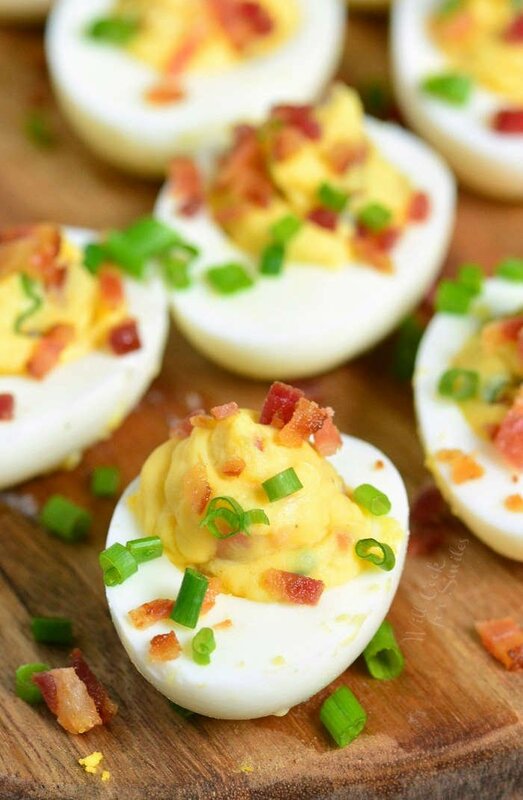 Whether you’re just using up leftover Easter eggs or preparing a beautiful appetizer for Christmas, Deviled Eggs is the way to go. This recipe takes the classic Deviled Eggs to a whole new level. 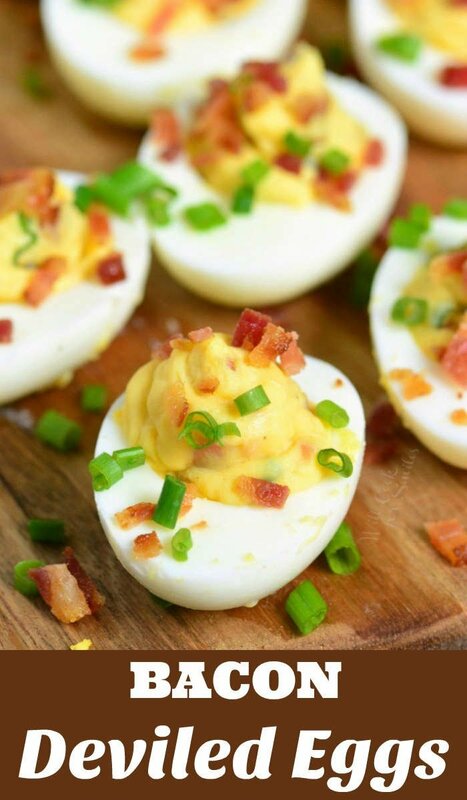 Hard boiled eggs are filled with a mixture of egg yolks, mayo, and mustard, and a hearty addition of bacon and chives. Fill your holiday table to many other easy appetizers like Crab Dip, easy Guacamole Cups, and Cheddar Ranch Cheese Ball. It’s springtime and that means it’s time for everyone to stock up on eggs. Hard boiled eggs will be in everyone’s refrigerator this month, all ready to be dyed or turned into deviled eggs. Maybe even both since leftover dyed eggs are the best turned into deviled eggs and egg salads. 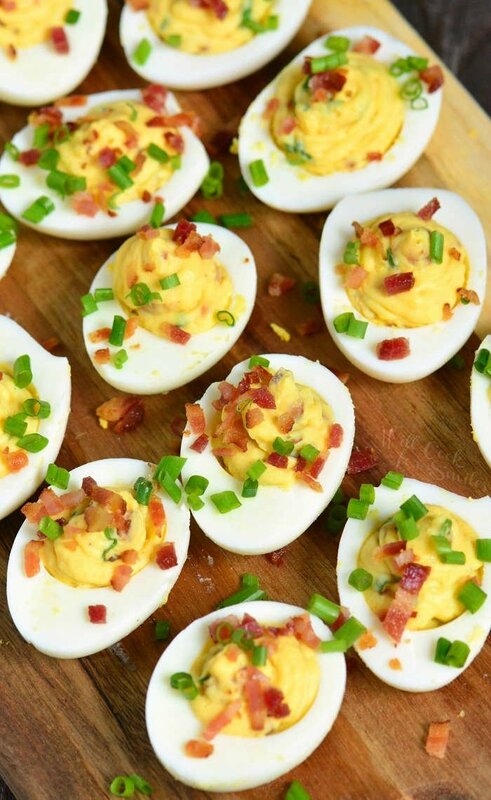 But you know that deviled eggs are not just an Easter appetizer, right? 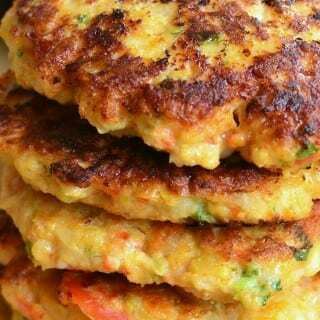 It makes a great snack to bring with you to a picnic and it’s just as perfect to serve at Christmas and New Year’s Eve party. 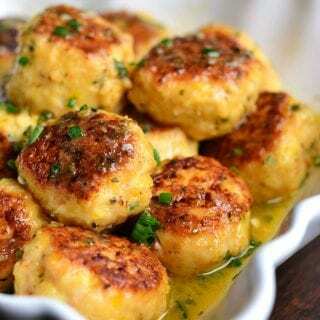 Baby showers and tailgating parties are also a few more occasions where this classic appetizer can be served. Why are deviled eggs so good? Eggs are delicious on their own but in deviled eggs, the flavor is made even better by mixing egg yolks with mayo and Dijon mustard. 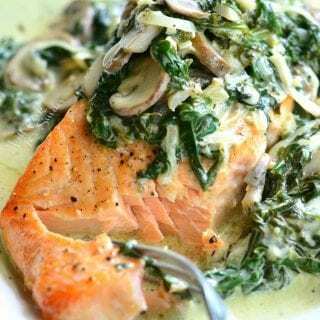 You can take the classic recipe and make it even better by adding more flavors like fresh herbs, cheese, spices, pickles, and of course, bacon. Another great selling point of deviled eggs is how easy it is to prepare. 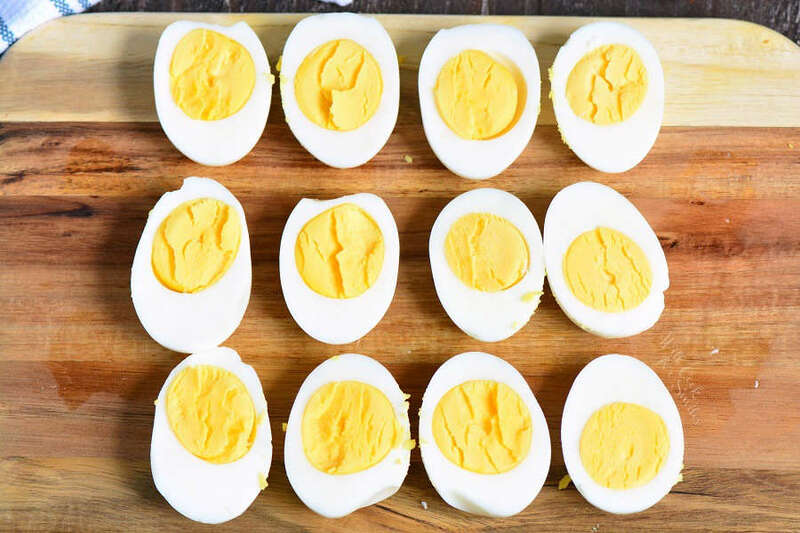 Hard boiled eggs can even be prepared a day ahead and stored in the refrigerator to save time. 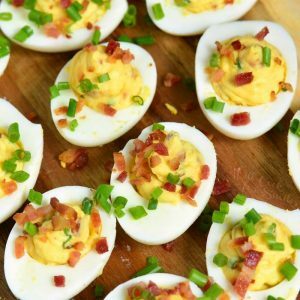 This Bacon Deviled Eggs recipe is one of my favorites, mainly because it’s packed with bacon, and I will share this recipe with you today. I’m sure everywhere you look, you will find someone’s “fool proof” and “no fail” way of making hard boiled eggs. I’ve tried them all and to be honest, as long as you follow instructions, all those methods works just fine. The only things that I’ve ever had go wrong with making hard boiled eggs is shell cracking and under-cooking. Both problems are easily solved. To avoid eggs cracking, simply add eggs to cold water and let water and eggs heat up gradually together. Of course, make sure your eggs do not have any cracks in them before starting to cook. To avoid under-cooking (and over-cooking), set the timer! Even if you forgot to set the timer, simply add a couple of extra minutes. Unless your goal is soft boiled eggs, a couple of extra minutes in a hot pot won’t hurt the egg. Even after trying many different methods though, I did settle on one years ago and that became the main way that I make hard boiled eggs. Like I mentioned, add eggs into the pot and add cold water to it. Add just enough water to cover the eggs. Heat up the eggs and water over medium-high heat until water comes to a roaring boil. Immediately cover with a lid and take off heat. While eggs are cooking, prepare a bowl for shocking the eggs. Fill a large mixing bowl with cold water and add a couple of cups of ice. 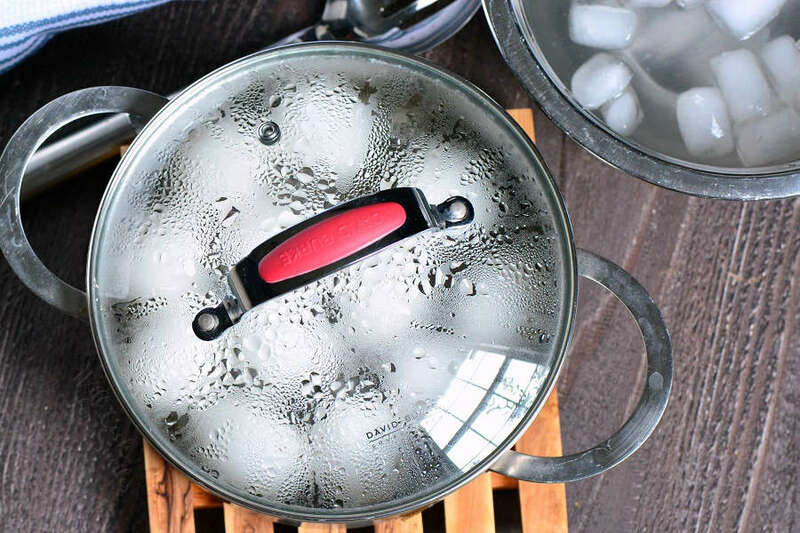 After eggs are done, use a slotted spoon to transfer the eggs into the ice bath. Let the eggs cool down for 5-10 minutes. Once eggs are cold, you can transfer them into a storage container with a lid and refrigerate or prepare deviled eggs right away. When ready to make deviled eggs, grab your hard boiled eggs and peel them. The best way to peel the eggs is to make sure the the shell is cracked into small pieces all around the egg. Tap the egg on the counter (or cutting board) on top, then on the bottom, then on the sides. After that, lay the egg down and gently roll it on the counter with your palm. This will cause the shell to crack into many tiny pieces. It will be much easier to peel the shell off leaving smooth egg white. Use a sharp knife to cut peeled eggs in half, length-wise. Gently take the egg yolks out of the egg whites, trying not to crack the egg white. Add all the yolks into a mixing bowl and mix it with mayo, Dijon mustard, bacon bits, chives, salt, and fresh cracked black pepper. Mix everything until smooth and completely combined. Transfer the egg yolk mixture into a piping bag. No need for attachments because you won’t be able to pipe a pretty design with bacon and chives mixed in. Lay all egg whites cut side up and use the piping bag to fill each cup. Fill the eggs pretty generously, you will have enough yolk mixture. Top off filled eggs with some more bacon bits and chives. Yes, you can make actually make it ahead of time a few different ways. Eggs can be hard boiled and then stored in the refrigerator for a day or two before making them into deviled eggs. 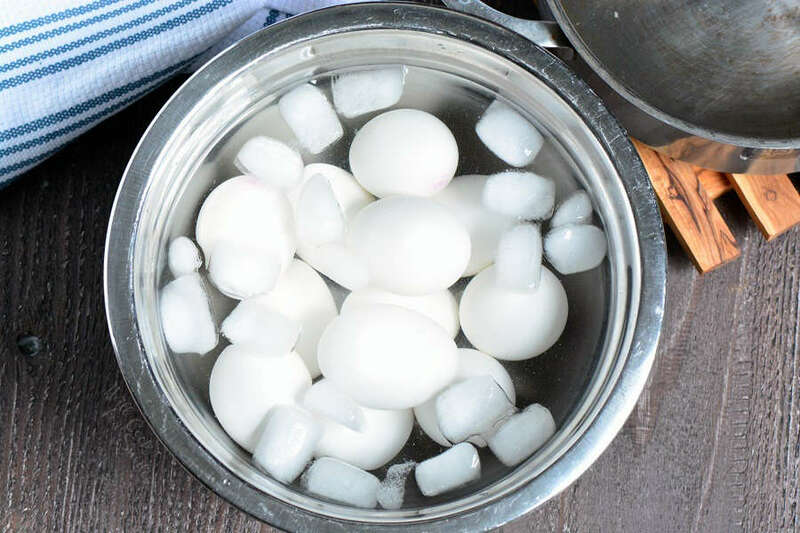 Store cooled hard boiled eggs in a food storage container with a lid. Make sure to NOT peel the eggs until ready. Peeled eggs have a very short shelf life. 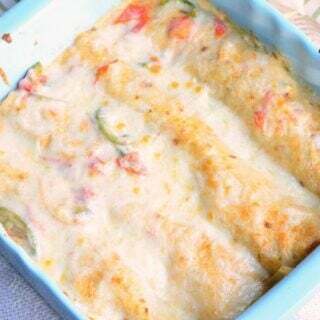 You can also prepare the eggs and the egg yolk filling the day before you need them. 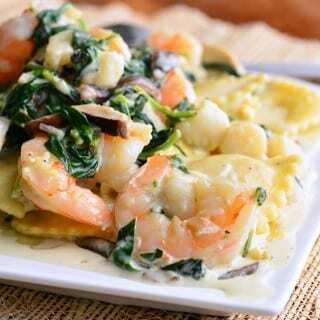 If preparing the filling ahead of time, store egg whites and the filling separately. Egg whites can be stored in a food storage container with a lid and the filling can be store right in the piping bag. Just do not cut the tip off the piping bag and tie the open end with a rubber band to seal. You can also dice bacon and chives and store it in another small container with a lid so it’s ready to use as topping. The reason why I wouldn’t recommend filling the eggs more than a couple of hours ahead of time is because the filling tends to start to dry out and darken when exposed to air for a longer period of time. Prepared deviled eggs should also be at room temperature for no longer than 2 hours. If you are anticipating a long party, it’s best to set the tray with deviled eggs on top of another bowl filled with ice. Ice will help keep the temperature of the eggs down. 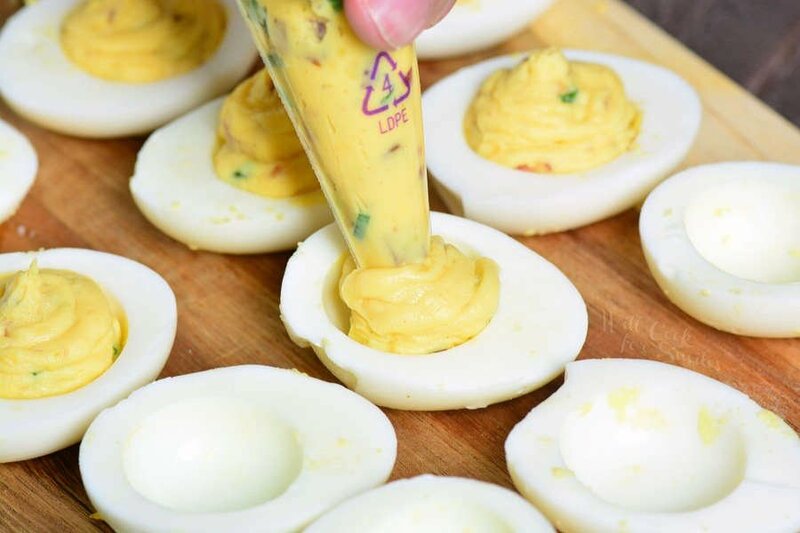 If you have leftover prepared deviled eggs, you can store them in the refrigerator, in a food storage container with an air-tight lid. Store fully prepared deviled eggs in the refrigerator for no more than 2 days. 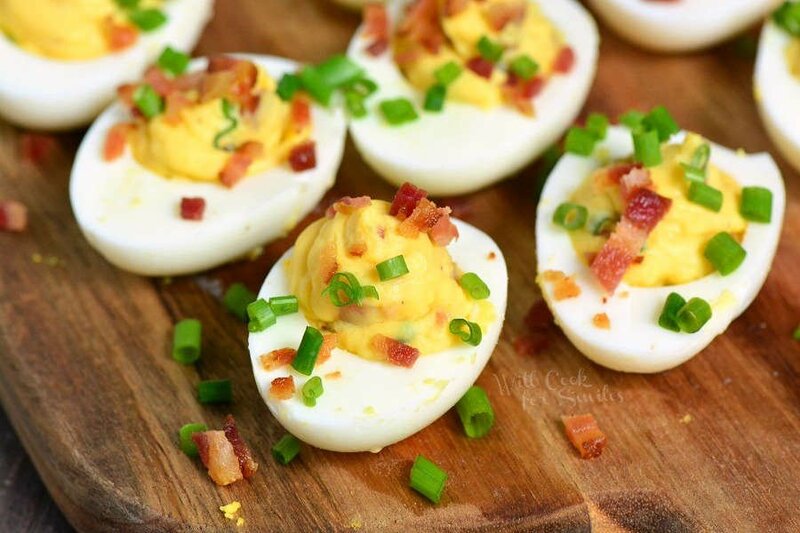 Hard boiled eggs are filled with a mixture of egg yolks, mayo, and mustard, and a hearty addition of bacon and chives. Add eggs to the pot and pour cold water into it. Add just enough water to cover the eggs. The best way to peel the eggs is to make sure the the shell is cracked into small pieces all around the egg. Tap the egg on the counter (or cutting board) on top, then on the bottom, then on the sides. After that, lay the egg down and gently roll it on the counter with your palm. This will cause the shell to crack into many tiny pieces. It will be much easier to peel the shell off leaving smooth egg white. Add all the yolks into a mixing bowl and break them up with a fork. Mix yolks with mayo, Dijon mustard, bacon bits, chives, salt, and fresh cracked black pepper. Mix everything until smooth and completely combined. These look so delicious! 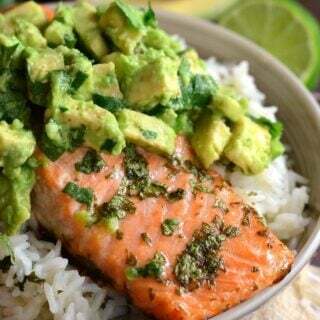 Will definitely be on my Easter holiday menu! Thank you for sharing!